GrimGrin is Chris Priest’s own imprint, specializing in “second stream” titles. All GrimGrin titles are still available. Email CP to obtain copies. Cheques and PayPal are accepted. Copies ordered from GrimGrin can be signed or personalized by CP, according to your wishes. Allow 7 days for delivery. Post & packing is included in all purchases direct from GrimGrin. Airmail delivery outside UK. A special bookmark is included with any GrimGrin book ordered from this site. 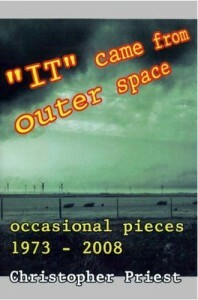 Amazon.co.uk has the books listed and all are available. They sometimes say they are out of stock, but we know differently! With the exception of The Islanders Gallery these titles may be ordered through any good bookseller. The Gallery is only available direct from this site. A gallery of some three dozen specially created images, which illustrate scenes from CP’s 2011 novel The Islanders. Many scenic shots of the Dream Archipelago are interspersed with several of the covers of the books discussed, including most of Kammeston’s novels. See the dead tower of Goorn, the famous bath-house on Orphpon, the interior of Yo’s finest tunnel … The Gallery is supplied in PDF format on a USB memory stick. £12.00 ($20.00 or €14.00). P&p included. The film of The Prestige was released in 2006, won rave reviews around the world and has had audiences arguing and debating ever since. It is a film with a complex and intriguing plot, raising many questions. What was the true nature of the character called Alfred Borden? Who was Robert Angier? What happened at the end? Film and book have much in common, but there are revealing differences. The novel’s study of obsessive secrecy and compulsive curiosity became in the film a deadly feud between two gifted but deluded magicians. Different forms of storytelling create different narrative demands. 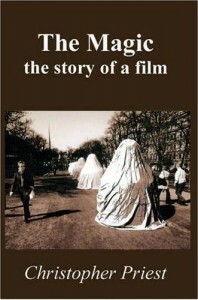 The film and the book illuminate each other. The Magic is CP’s story of the way in which a major film is developed from a novel … and what did the writer of the book think of it all? Available in hardback or paperback, with bookmark included when ordered here. Hardback £16.99 ($28.50 or €20.00). Paperback £10.99 ($18.50 or €13.00). P&p included. 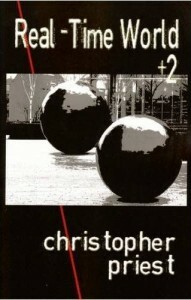 This is a re-issue of CP’s first short story collection. Originally a hardback from NEL in 1974, the book has been more or less unavailable ever since. As well as “The Head and the Hand”, the book includes “Fire Storm”, “Real-Time World” and Priest’s first-published story “The Run”. Available in hardback only (but see below): £16.99 ($28.50 or €20.00). P&p included. 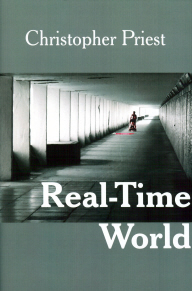 As well as “The Run”, the book includes “Fire Storm” and “Real-Time World”. The extra stories are “Nothing Like the Sun” (1970) and “The Invisible Men” (1974). Paperback £10.99 ($18.50 or €13.00). P&p included. CP introducing Ersatz Wines, a collection of his short stories that have never before been collected in book form. Like thousands of others, Priest dreamed of becoming a writer. He was 18 years old, languishing incompetently in a job he neither liked nor understood – the world of books was his main hold on sanity. One day he decided that he would change his life and become a published writer. With no advantages to speak of, he had to start from nothing. Within three years, though, he had sold his first story and by the time he was 25 he was a full-time author, selling books in Britain, the USA and several other countries. This book traces the process by which he did it. Hardback £16.99 ($28.50 or €20.00). P&p included. 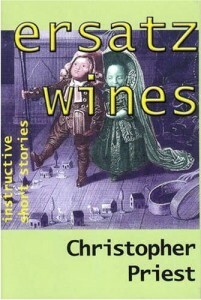 A collection of CP’s short non-fiction, written over a period of thirty-five years. There’s a wide range of subjects, most of them centred around books: the lives of writers, the deaths of writers, the fascination of slipstream, reviews of novels and other recent releases, two unsolved mysteries from the Second World War (one huge, the other not), a celebration of the life and work of H. G. Wells, and a few discussions of contemporary science fiction, the Cinderella of modern literature. Some of the writers whose books are reviewed or whose work is described are Bob Shaw, Robert Sheckley, Arthur C. Clarke, William Sansom, Richard Cowper, Ian McEwan and Lester del Rey (the victim of the title essay). Subjects include literary plagiarism, nostalgia, reviewers who mistake books for video games, publishers who can’t be bothered to keep your books in print and journalists who can’t be bothered to read them. 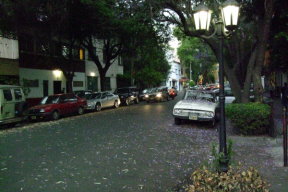 These occasional pieces, nearly all of which were started at the request of other people, gradually form what Priest calls in his Introduction ‘a series of glancing insights into underlying concerns’, or perhaps more candidly, ‘fragments of a fractured attention span.’ A few of these articles appeared in newspapers or nationally circulated magazines, but most were written for small-circulation journals or private magazines. This is the first time they have been collected in book form. Hardback £18.99 ($32.00 or €22.50). P&p included.